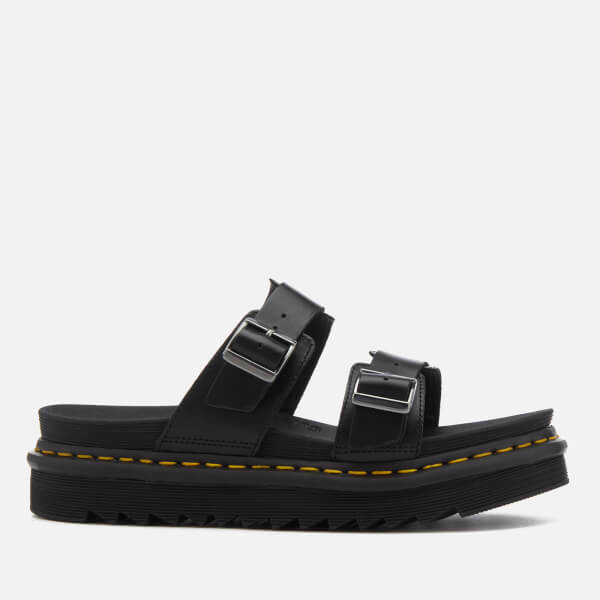 Men's double strap sandals from Dr. Martens. 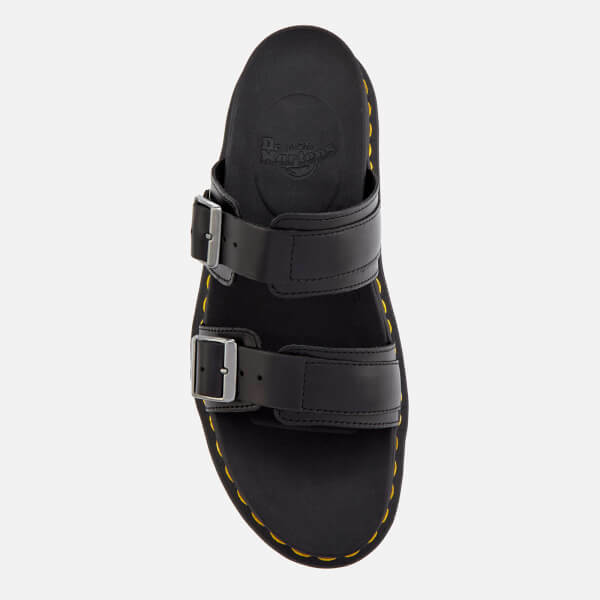 Crafted from 'Brando', a full-grain, waxy leather, the 'Myles' slip-on sandals showcase a two-strap construction with adjustable buckles. Set upon the brand's 'Ziggy' sole, which is made from lightweight EVA with a ripple tread. The sole has been Goodyear Welted for longevity (the upper and sole are sewn together in the brand's heat-sealed z-welt stitch) and finished with iconic yellow stitches. 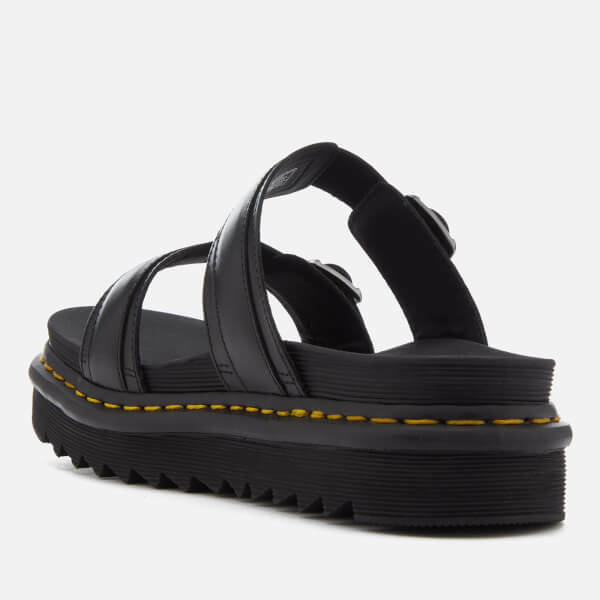 Love the desgin, especially the dr martens traditional yellow stitching and the thick sole for creating better bottom and top ratio of the body. Shoe may be a little heavy, not good for a long walk but if you dont plan to walk alot nothing looks better than this. If you feel pain adjust the strap to different length and find the most comfortable adjustment.